The current economic condition of the United States is in a precarious and potentially dire state. Following the financial turmoil of 2008-2009, the general economic recovery has brought about mixed results. While overall corporate profits and certain economic sectors have generally recovered (e.g. digital media and technology), the most basic socio-economic measures remain historically weak. The official unemployment rate hovers between 9% - 10%, with underemployment between 19% - 20%, household wealth has plummeted in the previous five years, and real estate estate prices are still near their bottom. The indicators that matter most to most people look and feel quite dim. Short and medium term predictions do not foresee significant improvement. Stimulative actions taken by the U.S. Government did show to have some positive impact, but similar additional moves are nearly impossible - due to a highly divided and gridlocked U.S. Government that is focused on deficit reduction. It is commonly accepted that a short-term surge of economic demand - i.e. the desire and ability for consumers and companies to spend money on goods and services - is a necessary catalyst for true recovery. Thus the question arises: What can give rise to such a demand-based catalyst? As a nation, we f aced a very similar economic/governmental divide in the late 1930s and early 1940s. Although the Great Depression had officially ended, many post-depressionary indicators were still abysmal. 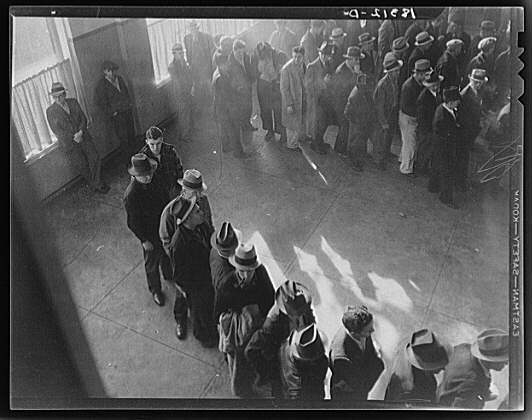 In 1938, unemployment still hovered around 20%, while in 1940 the rate was stuck at a stubbornly painful 15%. 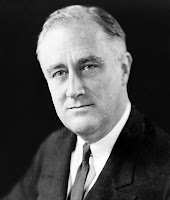 Following some of the most progressive economic legislation in history, Franklin Delano Roosevelt, the President at the time, faced a legislative body with very little appetite for further stimulative action and deficit spending. Instead of further stimulus, F.D.R. made the mistake of reducing government spending and undercutting the fragile, demand-starved, economy of the time. Our nation faced an eerily similar precipice to the one we face today. 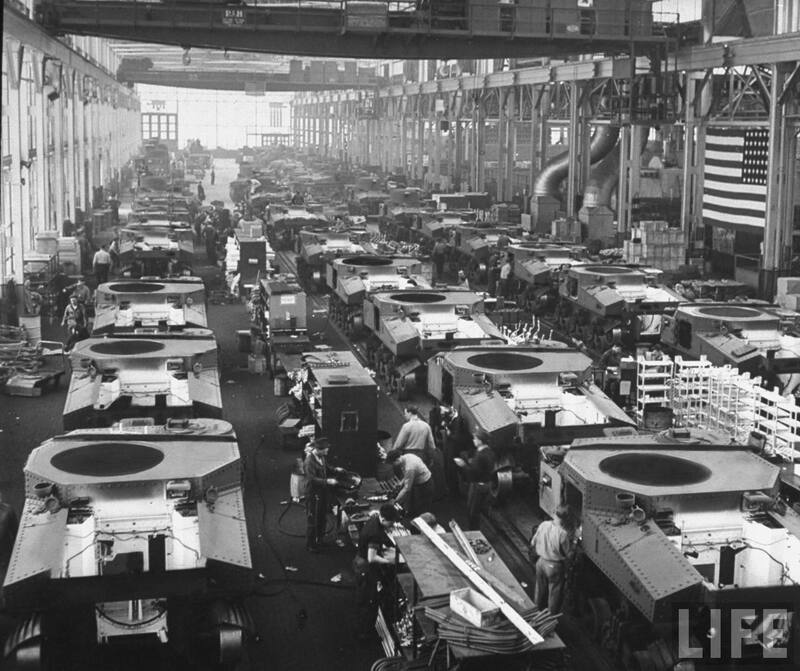 What saved the U.S. economy from a stagnating death spiral in 1940? World War II. The global conflict that had raged from 1939, finally embroiled the United States in 1941. Victory required massive industrial, logistical, informational, and human output. 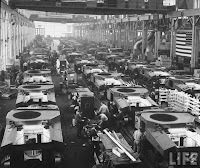 Tanks and planes, roads and boats, computers and telephones, soldiers and laborers were all newly necessary. By 1942, unemployment was below 5%, by 1944, it was below 2%. Although the war had cost the world millions of lives, it was also the positive demand catalyst for a glorious fifty years of U.S. economic prosperity. What are the ram ifications for today? A global, human conflict of necessity where the economy is positively stimulated across the board, i.e. a World War III, is a near impossibility. Nuclear weaponry has made certain of this. An extraterrestrial invasion of planet Earth would be a more viable alternative. 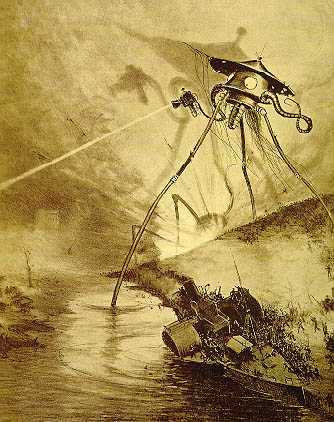 A united human front against alien aggression could be just the right medicine for our economic doldrums - a raison d'être for a whole new era of defense infrastructure and equipment. Millions could be put back to work for a common good while underutilized factories would be retrofitted to help meet our new intergalactic challenge. For this scenario to work, our invaders must not be too powerful so as to actually defeat and/or enslave the human race. In addition, for maximum U.S. benefit, major battles and associated collateral damage outside of the North American continent would be preferable. A global conflict between an extraterrestrial power and a united human resistance would near-certainly serve as a massive catalyst for economic demand.